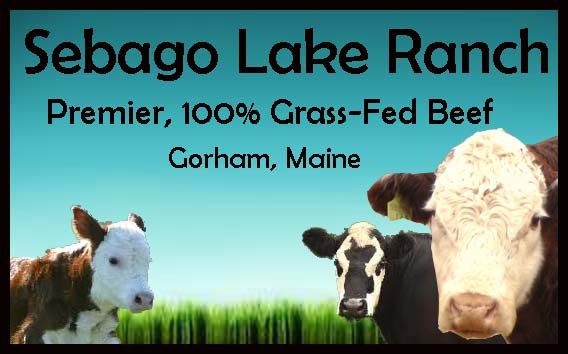 Here at Sebago Lake Ranch we do not use any form of growth hormones, or feeds with antibiotics. Our cows all graze on lush Maine pastures throughout the spring and into the early winter months. They are then supplemented with our farm raised hay during the winter when grazing through the snow isn't possible. They get to live outdoors, eating from nature's 'salad bar' on a daily basis. This makes for happy cows and a healthier product. Also, check our blog above for information on our special mention in Maine. magazine on locally sourced meats! We finish animals at about 24 months old around the Summer Solstice to produce a superior product. We are currently taking deposits for June/July at this time. Please contact us for availability, as sides go quickly. Payments by cash, check, money order or credit cards. 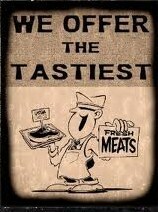 We are currently only selling beef by the 1/4, 1/2 and whole animal quantities during the summer months. We discontinued retail sales in the fall of 2014.